It was the Scottish poet Robert Burns who wrote, “O would some power the gift to give us to see ourselves as others see us.” If you’re a business, that little dream can come true. It’s called a competitive analysis, and we can’t think of a really good reason why you shouldn‘t set about having one done. Wow. That sounds like a handy thing to have, and it is. A competitive analysis will give you a complete view of your company, your competition, and your industry. It’s a chance to see yourselves as others see you. It can actually be an exciting endeavor for your company or product. Finding out what your customers really think is the best opportunity for growth you may have all year. For starters, – and it’s a great start — wouldn’t you like to know what customers and consumers think of your brand, product and industry? Competitive analysis will also tell you attributes that are associated with your brand – good, bad and neutral – and where you fit in. Do prospects or customers think you are a laggard or a trend-setter; do they think your company is friendly or difficult? You can learn what messages are associated with you and with your competition, and how well your messages resonate with your audience. I’ll never forget one major study that we received – it revealed that what the company had been using as our major differentiator was really not important at all to our audience. Major changes followed. In planning your sales and crafting a message, it’s important to know what the consumer expects from your industry and what they say they are, or are not, getting. From information like this you’ll see how to differentiate yourself. Plus, a well-researched competitive analysis can reveal some interesting, and surprising, gaps in what consumers know about you. You may think your customers are intimately familiar with every facet of your business. Some insights from a competitive analysis may show something completely different. It could be as simple as having a product line that’s remaining in the shadows or as complex as a completely misunderstood brand offering. What’s your brand presence? Do people know your brand, understand it, and recall it easily? How does your website stack up against the competition? What are its strengths, and weaknesses? Is it friendly, easy-to-use, inclusive? What does it “say” about you? One of the greatest flaws of most websites is that they are built inside a company and because of that the content often does not communicate what the audience needs or wants to hear. That’s easily fixed – as long as you are willing to find out if there are any issues. And you’ll learn some things you probably don’t know. What is your value proposition; your “reason for being” as far as consumers are concerned? A competitive analysis also is a collection of usable hard facts. An analysis will compare financial stability, market share and market growth. And it can tell you about your competitions’ customers and biggest contracts. Surprised that everyone isn’t out there right now doing competitive analysis? Most of the time it’s because ego gets in the way, and we assume we already know all about our business and our competition. Trust us; you don’t. It is a grievous mistake to assume what people do, and do not, know and think about your business. When you set out on the road to a competitive analysis – and you should – you must make yourself a couple of promises. First, you must be open and forthcoming with the people or company putting it together for you. Tell them the good and the bad. Don’t hedge and don’t sugarcoat. The more open and honest you are, the more you’ll benefit from the results. Second, read the results with an open mind. If the analysis was done properly, it will be filled with good, factual information. Avoid saying things like “That can’t be true!” or some other R-rated version. See yourself as others see you, and you’ll see a whole new picture. Because we don’t have any experience in your industry — but have a whole lot of experience marketing everything from staffing services to air freight and chocolate candy – we are the most qualified to help you. Anybody who sells marketing services – whether they are marketing resource companies like us or ad agencies or consultants or whatever else – has heard the specific experience question. 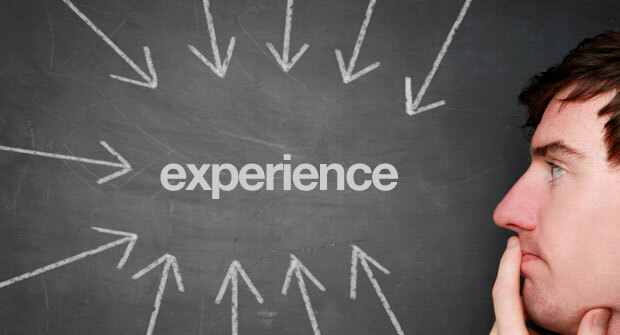 There is the feeling among clients that specific experience equals greater success. The fact is, it ain’t necessarily so. The “no experience” card is repeatedly played by well-meaning people. The thinking goes that specific industry experience – say, “insurance,” or “quarter turn ball valves” – is the price of admission to be considered for a project or account. The opposite is often true. The basics of marketing are the same regardless of your business. We know, your business is different. But the dirty little secret is that the company exporting banana pudding to Luxemburg has the same marketing needs as the outfit with the killer app that keeps track of your Schnauzer. The products are different, but the goals will be remarkably similar and the basic techniques to reach the goals will look familiar. Look for new, fresh, innovative ideas based on sound marketing principles. Don’t shut out enlightened experience and thinking just because the nice people across the table didn’t get their feet wet on your factory floor. Two questions to ask yourself about your next presentation. If you want your next presentation to be a home run, here are the questions you must ask. Then you must be prepared to act on your answers. You presentation will be better the more specific you can be. Once you answer question one, then you can begin to target your presentation to meet your goal. Question two has two related parts: “Who is the audience, and what do they want to hear?” Once again, be specific. If the audience is 200 salespeople who are between the ages of 30 and 50 and are having trouble meeting their quotas, write that down. If they want to hear that there is a new incentive program, or that the sales forecast is for a 20% increase of market share, then lay that out. The less you know about the audience, the mushier your presentation. As you ponder question two, remember the lowly lawnmower. Millions of lawnmowers are sold every year, but nobody buys lawnmowers. Instead, people buy short grass. What’s the short grass? That’s not an easy question to answer. There are a lot of supposed easy answers you’ll see in posts on “Ten Sure-Fire Steps to a Winning Presentation,” but the reality is effective presentations take a lot of work. If you take shortcuts, it’ll show. Every single time. If you’re speaking to a critically important audience, you might consider getting some help from a professional. However, if you can’t use a pro, here’s a way to develop a presentation that will do the job. Write out word-for-word what you want to tell the audience. Then read that out loud and make corrections. Take that narrative you have written and outline it. All you want is a numbered list of key points. Take those points and make one slide for each point. Make the type nice and big, put it on a colored background, and don’t use more than 9 words per slide. If you have relevant photographs, use them, but don’t cover up the type. Charts and graphs can be a problem. If you must use them, make them simple, and, even then, use them sparingly. Rehearse your presentation over and over until you’re sick of it and your delivery is as natural as telling a teenager they can’t borrow the Porsche for the high school prom. Keep it under 12 minutes, smile, and you’ll be fine.